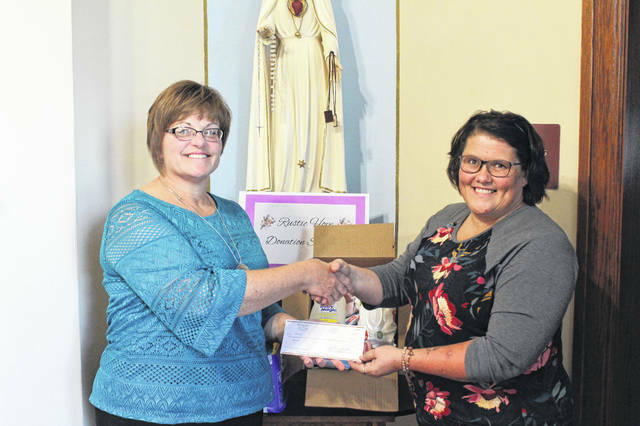 MARIA STEIN — The Maria Stein Shrine of the Holy Relics held a Women’s Day of Faith, Fun and Friendship on Oct. 13. There were 20 different vendors selling jewelry, beauty products, clothing, health & wellness items and baked goods. Visitors had the opportunity to explore the vendor fair, the Shrine and visit various other events. The funds raised from the event went towards a monetary donation to Rustic Hope, a non-profit in Russia that offers free support to single mothers throughout their pregnancy.